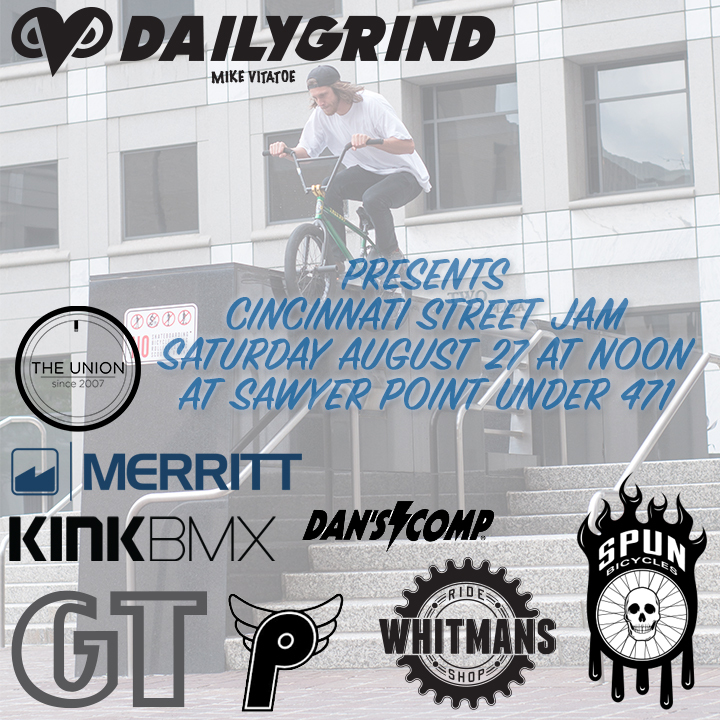 The Daily Grind and Whitman’s Ride Shop are doing a Street Jam Saturday August 27 at noon. 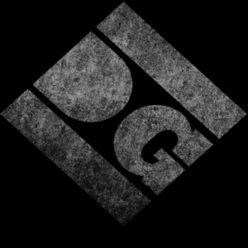 So far the sponsors include Spun Bicycles, GT, Kink BMX, Merritt BMX, Dan’s Comp, Profile Racing, and BMX Union. The goal is to get a lot of people out riding street, but their will also be a lot of hand outs and prizes. We are meeting at Sawyer Point under the 471 bridge at noon, then we will be cruise the city from spot to spot until we are asked to leave or done with the spot.